The English Language Institute is an intensive English program designed to help international students attain the English proficiency necessary to enter a college or university in the United States. It is also suitable for individuals who may wish to learn English for business or personal reasons. There is an average enrollment of fifty students from ten to fifteen countries each session. Programs can also be designed to meet the special needs of groups. Each student is placed in 8-week beginner, intermediate, or advanced levels on the basis of placement tests. Experienced and professional faculty members utilize the latest teaching techniques to help students attain competency in all aspects of the English language. The length of time necessary to complete the program depends on the student's English background, diligence, and motivation. Classes are offered in listening/speaking, reading, composition, and structure (grammar). All students, regardless of level, attend class 20 hours per week. We offer extra services such as tutoring, cultural activities and trips, as well as volunteer opportunities; and put you into contact with native American English speakers as much as possible. New students: To be admitted to ELI you must possess a high school diploma or its equivalent. The documents needed for admission are listed on the application form (see link below). While we accept students with no prior study of English, please realize that the lower your level of English, the longer it will take you to become proficient. You must have completed the last level in your previous program in good standing (i.e., not have been suspended or withdrawn). Students must arrive at least one week prior to the beginning of the session in order to complete their registration, take placement exams, and attend required orientation sessions. Assistance will be provided in locating housing, establishing bank accounts, and shopping for initial necessities. Airport greeter service is available at the Will Rogers International Airport in Oklahoma City prior to the Fall and Spring semesters. An orientation to the English Language Institute, Oklahoma State University, and the City of Stillwater is provided at the beginning of each session and continues throughout the session. Some of the special activities provided for ELI students include American holiday celebrations, picnics, and short field trips. Students pay no additional fee for transportation or lodging on these trips. Upon completion of each level, students receive progress reports showing grades, attendance figures, and performance evaluations. Please note that TOEFL exams are administered at the end of each session. The TOEFL score achieved at the end of those sessions is also noted in the report. Students who are in good standing and receive 500 or more on the TOEFL before leaving ELI are awarded Certificates of Proficiency. Those who leave the program before attaining 500 are given Certificates of Attendance. Regular testing is done throughout the following semesters: Spring, Summer, and Fall. An Institutional TOEFL is administered by the English Language Institute at the end of each 8-week session. In addition, Oklahoma State University is an International TOEFL Testing Center. The mission of the English Language Institute is to equip its students with the English proficiency, academic skills, and cultural knowledge necessary to gain entrance to and achieve success at Oklahoma State University, or any American institution of higher education. The program is also suitable for those wishing to learn English for business or personal reasons. 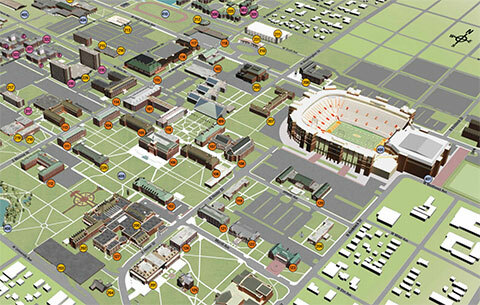 The program aims to produce students who will thrive at OSU. Students will have a high level of proficiency in Academic English, in all core skill areas: listening, speaking, structure, reading, and composition. In addition, ELI graduates will be familiar with academic tasks and expectations, and will also be able to function well in the social milieu of the university classroom and the world outside. After completing the program of study at ELI, students will feel confident and comfortable in an OSU classroom, and acculturated to American society as a whole. ELI students who are studying English for business or personal reasons will be proficient in all language skill areas and able to understand and navigate American ways.